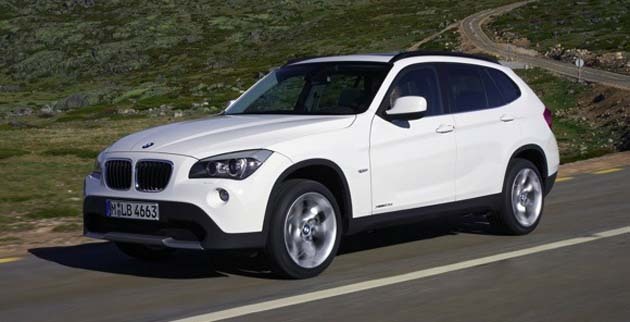 The BMW X1, which is the Bavarian’s cheapest car in India is also the most sought after BMW now. If sources or rather the dealers are to believed, the X1 has more conversions than any other BMW model. BMW dealers in Delhi as also Mumbai have confirmed huge bookings for the X1. The BMW X1 takes on the likes of other soft roaders like the Toyota Fortuner, Chevrolet Captiva and also Honda CR-V and Mitsubishi Outlander. The prospect of earning their way into the prestigious blue and white propeller badge has got many customers thronging into the show rooms. The cheaper petrol variant is what gets people excited however later on with some persuasion from the sales executive, they are willing to go in for the base diesel which promises much more than what the petrol variant can offer. Due to this very reason, the X1 diesel now has more than 70 percent share in the bookings of the X1 overall. The diesel engined X1 commands a waiting period of well over 6 months whereas the petrol variant would make one wait less at 5 months. The reason why the base diesel variant attracts so many bookings is because it gets almost all the features that are present on the top end diesel except the Idrive system. Moreover brown and white are the predominant colors which are selected even though there are more than 8 other colors available. Dealers say that the X1 not only draws customers away from the other vehicles in its category but also from its own stable mate, the BMW 3 series. Typical customers want the bullish nature of an SUV and a bigger boot than the 3 series, at a lesser price and this is where the X1 scores. Now BMW India are saying that they are going to launch the BMW X3 SAV very soon in India. If sources are to be believed, the X3 would be launched as early as November 2011. The styling for this Sports Activity Vehicle (SAV) would mirror that of the smaller BMW X1 and also the bigger BMW X5. It is speculated that there would be two engines on offer initially and like the X1, would be a petrol and diesel.